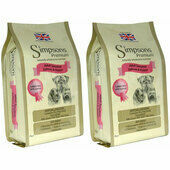 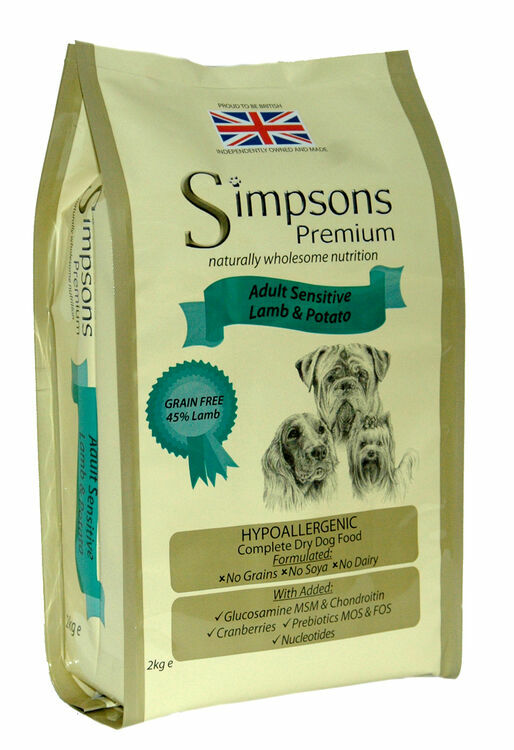 Designed for dogs that are seriously allergic to certain foods or suffer from sensitive skin or digestion, Simpsons Premium Adult Sensitive Lamb & Potato is made using a strictly hypoallergnic recipe that is completely devoid of common allergens; including grains, soya, dairy. 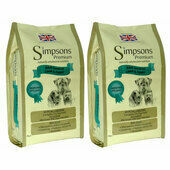 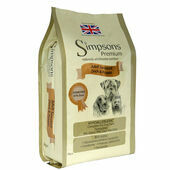 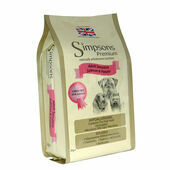 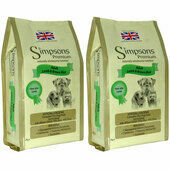 Also free from any added colours, flavourings and preservatives, Simpsons Premium Adult Sensitive Lamb & Potato Dry Dog Food is made using high-quality human-grade ingredients that will effectively ensure that your pet gets the best possible nutrition; not to mention great tasting food! 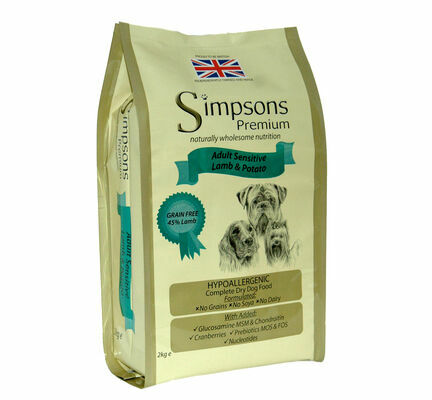 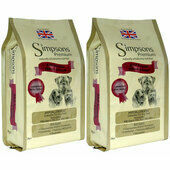 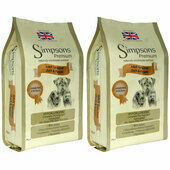 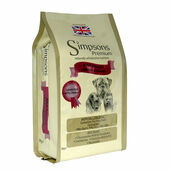 In addition to its enticing flavour, this hypoallergenic dog food from Simpsons Premium has also been enriched with Prebiotics, Glucosamine, Chondroitin and MSM, which work together to keep the digestive system running smoothly and ensure that joints are as supple as possible. 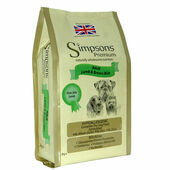 Ingredients: Lamb (min 45% - Dried Lamb, Deboned Lamb, Lamb Fat), Potato (min 26%), Beet Pulp, Brewers Yeast, Lamb Gravy, Dried Egg, Salmon Oil, Minerals, Linseeds, Vitamins, Yucca Extract, Cranberries, Nucleotides, Mannanoligosaccharides (MOS), Fructooligosaccharides (FOS), Glucosamine, MSM, Chondroitin. 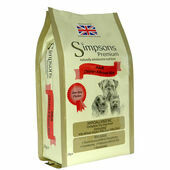 Naturally preserved with mixed tocopherols.